Enjoy the best of the panhandle from this beautiful 4BR/4BA beachfront home decorated with local artist Paul Brent's designs. Paul Brent is a Panama City artist known worldwide and often referred to as America's best known coastal artist. Enjoy the breathtaking view of the emerald green water from the gulf front covered balconies on both levels. Located in the heart of Mexico Beach on the sandy white shores, you will find plenty of excitement to make your vacation one to remember. Floor Plan: ground level-entrance and storage for beach supplies. 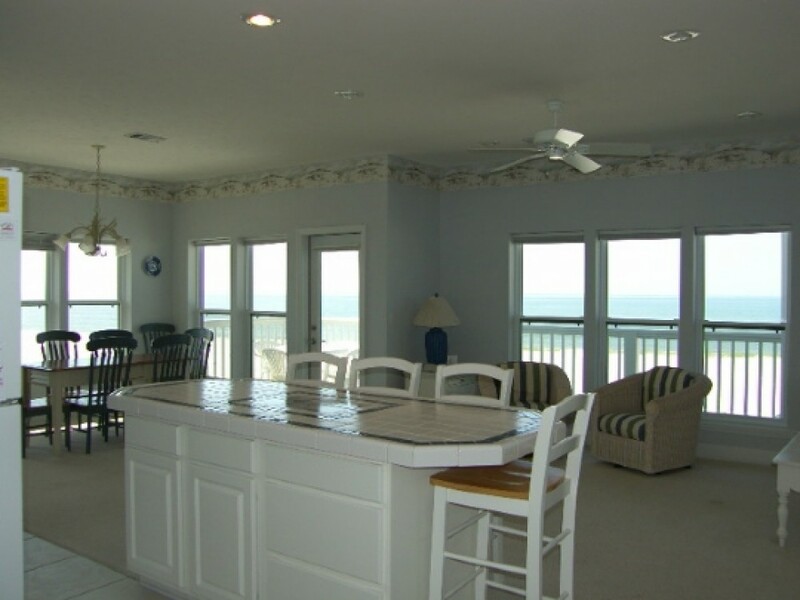 1st level-spacious, gulf front kitchen, dining and living area with queen and twin sleeper sofa, TV, DVD and VCR; Bedroom 1-gulf front bedroom with king bed, TV and full bath with shower stall; laundry closet and full bath. 2nd level-Bedroom 2-gulf front bedroom with king bed, TV and full bath with shower stall and garden tub; Bedroom 3-gulf front bedroom with queen bed; Bedroom 4-double bed; and full bath with shower/tub combo. $ A Preferred Payment Discount of $70 is available for this property. Please contact our office for details.